If you’re a potential car buyer, you shouldn’t disqualify a used vehicle. There are plenty of incentives that accompany pursuing a used ride, especially in regards to finances and budget. If customers are eyeing a 2016 version of a particular model, they may find an equally-capable 2015 version for a fraction of the price. Of course, if you’re going to purchase a used car, it’s important that you target reliable vehicles that should last you several years. That’s why the Jeep Wrangler is an excellent choice for used car buyers. The SUV has continually been regarded as one of the best options on the used car market, and these accolades could be attributed to the vehicle’s incredible power and drivability, cargo room, and dependability. If you’ve wanted a “new” SUV, you really should consider saving yourself some money by opting for a used Jeep Wrangler. Regardless of whether you’re going to pursue a new or used model, the Jeep Wrangler is a logical option. The SUV offers some of the best performance and drivability in its class. Whether you’re going to rely on the vehicle to trek through the snow or travel off the beaten path, you can be assured that the Wrangler will deliver. Furthermore, considering the size of the SUV, drivers can take advantage of the superb cargo room. While many customers focus in on the performance qualities of the Wrangler, they may be overlooking the fact that the Jeep can also serve as a de facto truck or trailer. Overall, it’s important to remember that a used Jeep Wrangler isn’t solely a logical option because it’s used. Rather, it’s a good option because it’s a capable and roomy vehicle. 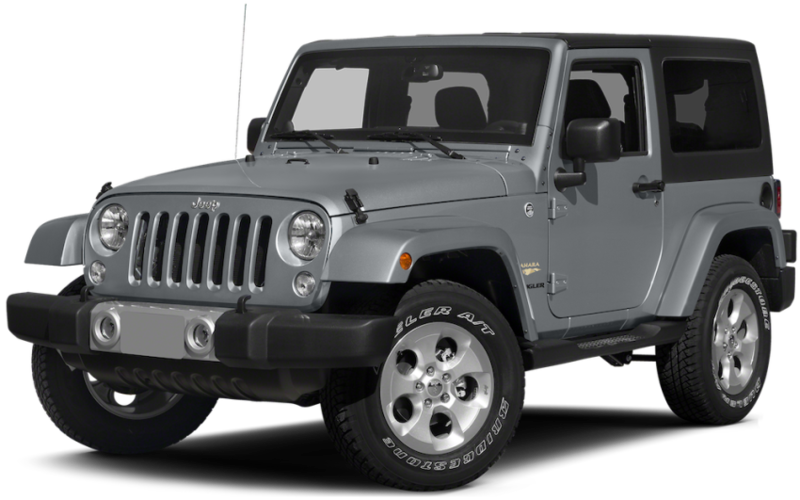 Jeep has continually offered some of the most rugged and capable SUVs on the market, and drivers can enjoy the Wrangler’s incredible performance capabilities for an excellent price. From 2007 through 2011, the Wrangler was generally accompanied by the 3.8-liter EGH engine, which was paired with either the four-speed 42RLE automatic transmission or the six-speed NSG370 manual transmission. While the system wasn’t necessarily efficient, it still managed to pack quite the punch, delivering 202 horsepower and 237 pounds-feet of torque. Starting in 2012, the brand unleashed their powerful 3.6-liter Pentastar V6 engine. The unit offers improved power specs at 285 horsepower and 260 pounds-feet of torque, but the system was also relatively efficient. Drivers could expect a 17 city/21 highway mile per gallon efficiency, numbers that were generally on par with the rest of the segment. This is rather obvious, but the Wrangler’s cargo room surprisingly gets overlooked. Considering the SUV offers incredible performance and a number of technological features, we’re not necessarily surprised. However, it’s still important to recognize this attribute. The 2015 Wrangler includes 12.8-cubic-feet of space when the seats are in place. These are solid numbers, but certainly nothing to write home about. However, when the seats have been hidden and drivers are eyeing the maximum amount of space, owners will have 55-cubic-feet of space to work with. That means you can fit bikes, skis, and any luggage you may have without worrying about a tight squeeze. Pursuing a used Jeep Wrangler is all well and good, but you have eight potential model years to choose from. As a result, you may be a bit overwhelmed by your wealth of options. Of course, we certainly can’t blame you. The 2007 and 2013 models were named ‘Four-Wheeler of the Year” by Four Wheeler magazine, and the 2007 and 2012 models were named Petersen’s 4-Wheel & Off-Road’s 4×4 of the Year. We’ve listed two of the more popular Wrangler models below, and there are incentives to pursuing either version. An older model obviously presents some financial advantages, but drivers should still be able to secure a solid deal on a more recent-year model. Plus, the Wrangler has consistently delivered optimal performance, so regardless of the model year, you’ll likely be happy with your decision. With consumers showing a general fondness for throwbacks and things of the past, it’s no surprise that the original Wrangler JK is among the more popular in the nameplate’s history. The 2007 model was unlike previous Jeep Wranglers, as the body was completely redesigned to usher in the new generation. These changes included an increase in width and a shorter wheelbase, resulting in a better turning radius and approach angle. The majority of the vehicle’s functions were run via the Jeep’s computer software, including the engine, transmission, braking, and technological systems. The Jeep Wrangler saw several updates in the 2015 model. These changes were mostly aesthetic, as the brand offered a number of new paint colors on their SUV, including Tank, Sunset Orange, Copper Brown, Baja Yellow, and Firecracker Red. There were also several new trim offerings (including Sport, Willy’s Wheeler, Sahara, Rubicon, and Rubicon Hard Rock), with each version improving how the entire vehicle operates. Thanks to the myriad customization possibilities, it will be tough for used car buyers to find identical 2015 Wranglers. On the interior, drivers could find a new standard eight-speaker audio system, or an impressive nine-speaker sound system that includes a powerful subwoofer. The vehicle also included the Torx tool set, allowing owners to remove their Wrangler’s windshield and doors. Why would you pursue a used vehicle over a new one? Well, there are several advantages that accompany purchasing a used car, especially a used Jeep Wrangler. Customers should find considerable savings on these particular models, and the nameplate’s ruggedness and reliability makes it a stable option. In fact, the nameplate has actually been officially recognized by industry experts as an excellent used vehicle. The Wrangler was awarded the 2009 Best Resale Value Award by Kelley Blue Book, and it earned the same accolade in 2012 and 2013. In 2011 and 2012, the vehicle also earned the accolades for holding its value from KBB. This is rather obvious, but some customers may be unaware of how big a financial investment they’re eyeing by pursuing a used Wrangler. If you opt for one of the original Wrangler JKs from 2007 or 2008, you may be looking at significant savings. Of course, even if you opt for a 2014 or 2015 model, you still won’t have to worry about stretching your budget. Savings could be anywhere from a couple hundred to a couple thousand dollars, so there’s a clear financial incentive, regardless. These affordable prices may also influence the type of vehicle you pursue. With more money at your disposal, you could opt for a pricier model or trim level. If there’s a particular amenity or capability that you’ve always wanted, it could actually be financially feasible if you go with a used Wrangler. There’s no denying that the Jeep Wrangler is an off-roading behemoth, and this ruggedness makes the vehicle an excellent used option. Why is that? With other used vehicles, you may be worried that one minor accident may compromise the entire ride. A bump or scrape could decrease the value of the vehicle, while an accident on a snowy afternoon could total the ride. No need for this kind of worry in the Jeep Wrangler. The vehicle is more than capable of overcoming any kind of weather conditions, so you won’t need to fret about your ride’s handling during the winter months. Plus, if you’re going to be relying on the SUV for off-roading, you probably aren’t concerned about any dents, anyway. If you live in the Colorado Springs, Colorado area, there’s no better place to purchase that used Jeep Wrangler than at The Faricy Boys. The dealership offers some of the best prices in the area, and customers can view the business’s inventory from the comfort of their own couches. The dealership not only offers great deals on new and used vehicles, but the finance department is another helpful in-house resource for those struggling to determine a logical budget, while the service department can be relied on to fix any issues you may run into with your new Jeep Wrangler. You’ve hopefully taken two valuable pieces of advice from this lesson: a Jeep Wrangler is an excellent used option and The Faricy Boys is the perfect place to purchase that used Jeep Wrangler.